Georgina was appointed School Director in 2018. 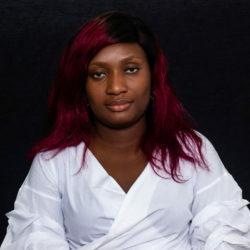 She is a Development Consultant with over 10 years’ of experience in the Social and Caring Sector mostly in the UK, and over a years’ experience working as a Governance Consultant in Sierra Leone. She is a member of the Health and Care Professions Council (HCPC) in the UK, holds a BA Hons in Social Work from Chichester University (UK), and an MA in Governance and Development from the Institute of Development Studies (IDS) in the UK. 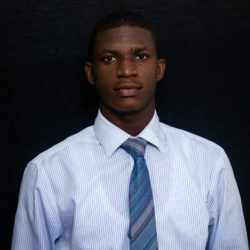 Melvic works as the School Coordinator at Freetown Business School. He holds a Bachelors degree in Economics from Fourah Bay College, a Post Graduate Diploma in Procurement from the Institute of Public Administration and Management and a Masters degree in Economics with a major in International Finance from Zhejiang Gongshang University in China. Before joining the FBS team he worked at Sierra Leone Commercial Bank for 5 years in different roles. He has a keen interest in business development and has undertaken several related projects. BINTA has a career spanning over a decade, in both the private and public sectors. In the public sector, she worked for several years as a Policy Adviser. Binta also has experience working as a Consultant with development partners focusing on Stakeholder Engagement and Private-Public Sector liaison. An Entrepreneur with business interests in real estate, logistics and marketing. She has a Bachelor’s degree in Economics from the Fourah Bay College and an MBA from the University of Wales. She is a wife and mother to two children. 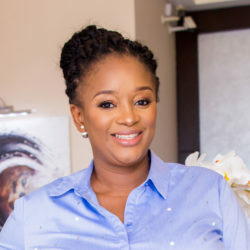 Binta Tejan-Kella has a Bachelor’s degree in Business Administration at Ghana Institute of Management and Public Administration (GIMPA). At FBS, she is responsible for some of the administrative tasks. She handles the student welfare. She manages and plan all classes for FBS, communicate and advertise to student on all upcoming courses, and student feedback. A graduate from Fourah Bay College with a BA Degree. His roles and responsibilities cut across both the administrative and financial aspect of the school, such roles includes; Preparing invoices and follow-up on clients and partners as needed, collection and banking of payments, tracking and reconciling bank statements, updating financial spreadsheet on daily transactions, process tax payments, preparing student IDs and name tags.